I must say that this idea (along with most others you see on my blog) is not original to me, it was from another local demonstrator Jennifer Bloomquist! You’ll find her original post under her linked name. 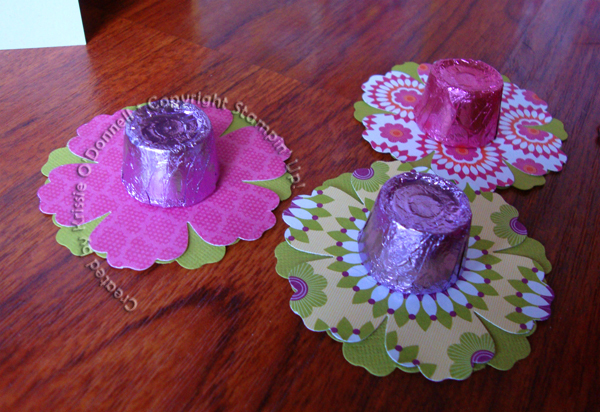 These are super cute party favors, but make sure you use something really sticky to get the candy to stay on the flower since foil can be pretty slippery. These are easter Rollos, but kisses or even mini peanut butter cups might work great too.